High res version of this pic for download at 'related material' section below. 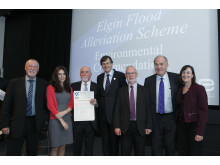 Moray Council’s flood alleviation scheme in Elgin has scooped a top engineering award. At the 2016 Saltire Civil Engineering Awards in Edinburgh this week, the project received a commendation for delivering a range of benefits to the local community and businesses. The integrated project team consisted of Moray Council, Royal HaskoningDHV, Morrison Construction and cost consultants Arcadis. The awards, which recognise engineering excellence, innovation and achievements in Scotland, were held at the National Museum of Scotland on Tuesday 25 October. 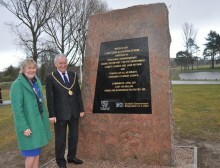 The Elgin scheme was Scotland’s largest ever flood scheme and was one of five such projects across Moray totalling £178million. The Elgin scheme has helped to transform the physical and social environment thanks to a new 6km cycle way between Lhanbryde and Elgin, new footpaths and other recreational facilities. The project has also incorporated the renewal of roads and bridges. 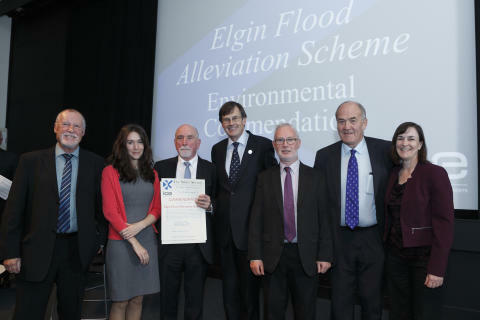 Chair of Moray Council’s Flood Alleviation Sub-committee, Councillor George Alexander, was at the awards event to receive the commendation on behalf of the council. 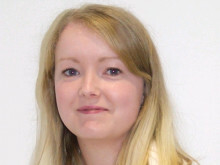 He said: “There is no doubt that the Elgin project, like others that have been successfully completed on time and under budget in Moray, has made a huge impact on people’s quality of life. 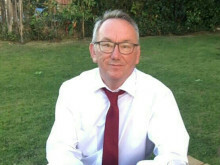 “Not only has the threat of flooding been drastically reduced in their homes, but their environment has been made more pleasing and a number of facilities created for enjoyment of the area.